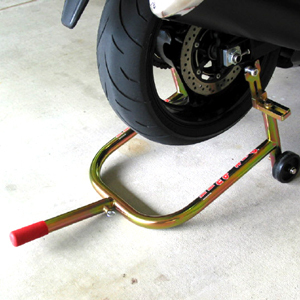 The BVP rear spool type stand is made of extra heavy duty steel construction for a long life, strength and durability. 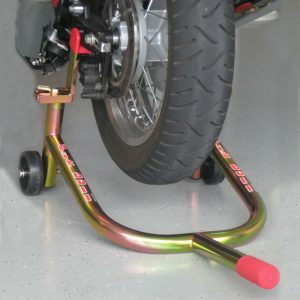 What makes the BVP stand unique is what you don’t see, the BVP stand is engineered with a leverage ratio that makes it easy and simple to use. 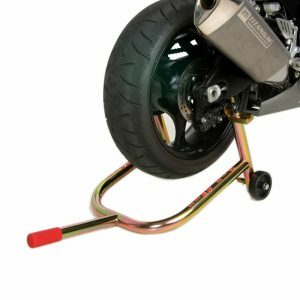 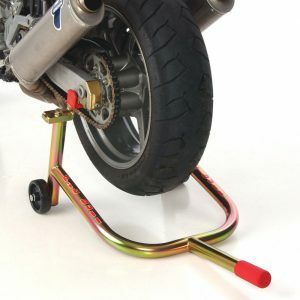 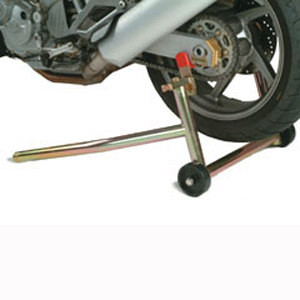 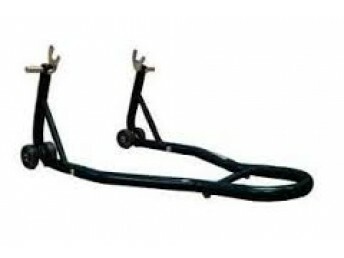 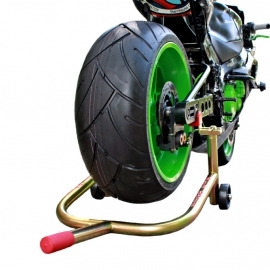 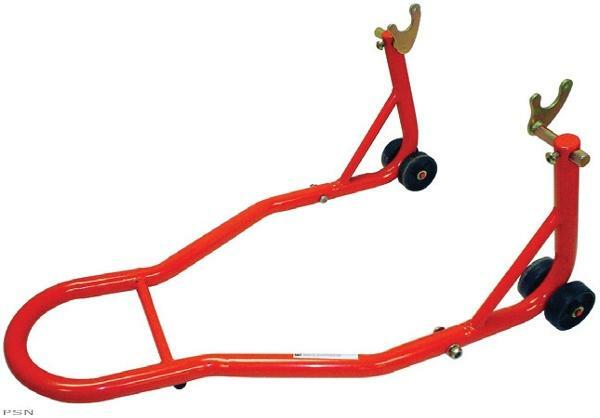 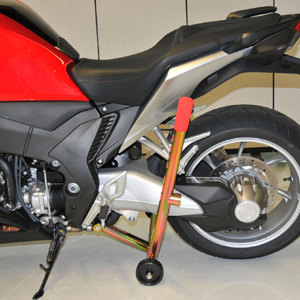 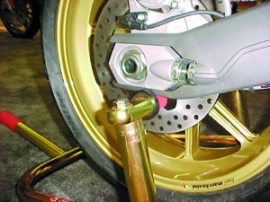 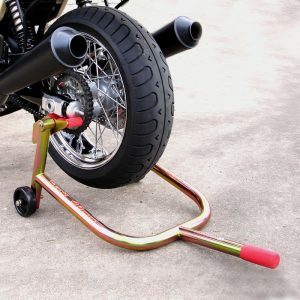 The BVP rear spool type stand allows easy and safe lifting of the rear wheel for most repair and maintenance jobs. 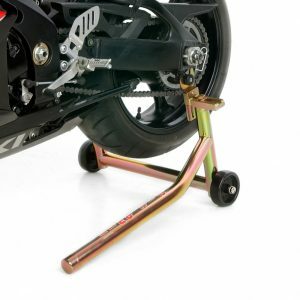 Stand is supplied with four wheels for stability in all sorts of terrain. 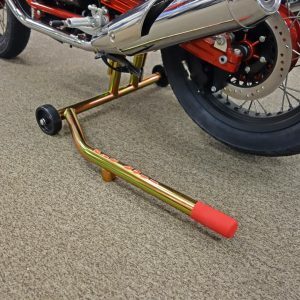 Spools sold separately.